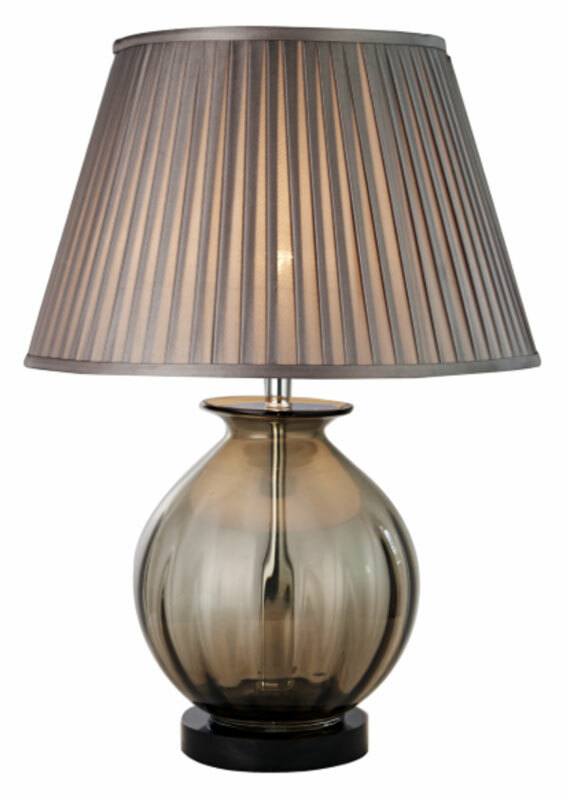 This classic smoked glass vase lamp with pleated smoke shade is stylish and traditional. Dark plinth base, with round bowl body and chrome metalwork. Supplied with a smoke fully lined 16″ pleated faux silk Empire lamp shade with self-coloured trim. A stylish table lamp for any dining room or living room. Also available in rose tinted glass with wine shade, please see below.